I read with frustration this story about the mainstream media (MSM) ditching coverage of the Fukushima nuclear meltdowns. My upset was not because coverage of this event had diminished dramatically, which it has. But rather because the author is contending that MSM was somehow banned from covering the event and there was some conspiracy afoot to disinform us now. While the BBC and other news agencies have stopped there up-to-the-minute news coverage, this neither reflects evidence of conspiracy nor that further crisis has been averted. It is simply the managements best guess at the attention span of their viewers. The MSM does not take it’s lead from the White House or the Japanese government, they are driven by ratings and if there are not reactors actively blowing up or fires blazing, their viewers would rather hear about celebrity gossip or perhaps the civil war in Libya. Are things getting better or worse? Possibly both. This NY Times piece contends that some experts think the longer it takes to full control the situation, the greater the chances of large radiation releases from either a cooling pool fire or more fuel melting inside reactors. It also points out that power has successfully been brought into the plant (which was erroneously reported several times before) critical for pumping cooling water to the stricken reactors. The prevailing wind is shifting away from to sea and instead towards Tokyo. More paradox is evident in the whole issue of contaminated food. CNN reports reassuring claims from an expert who says detected radiation levels in food have “very low” long term risks, while the same expert confesses “radiation doses ingested through food is really very poorly understood.” Unlike information about the reactor fires and explosions, the Japanese can be credited for early information about food contamination. 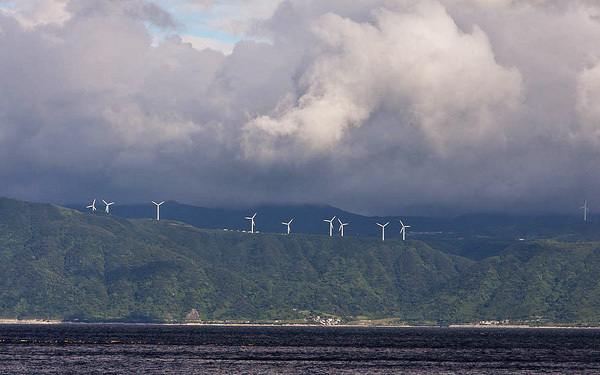 Of course the story which the nuclear industry really does not want to get out is not happening in Japan, but everywhere, it is that off shore wind energy is now cheaper than nuclear. And by the way, every wind farm in Japan survived the quake and Tsunami, including the semi-off shore units 300 km from the epicenter. I love how you’re able to sift through all the information. You have come up with a clear picture of what’s going on as well as great information showing why wind does work as an energy source. I don’t know if you saw what happened with Obama’s visit to Chile shortly after the earthquake in Japan since you didn’t mention it in your blogs, but even though this isn’t “granting permission” to set up nuclear plants in Chile it is still an agreement that the US would aid Chile if it decided to build them. What an insane country we live in.